Microlife’s products enable healthcare professionals and wellness advisors to provide cost-effective and personalized nutrition monitoring and weight management services. One Body Health has been serving the Rhode Island and bordering Massachusetts region for over 11 years, providing comprehensive health solutions that integrate nutrition, exercise and physical therapy. Their solid focus is on helping clients achieve the highest level of function, fitness and total quality of life. 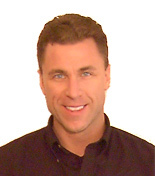 David Dansereau, owner of One Body Health, approaches each client with a unique program that integrates a number of disciplines for maximum results. His clientele is not only comprised of individuals, but also a number of medical providers, that he works closely with to facilitate a client’s total care program. Because of his unique approach to total care and incorporation of healthy weight loss as part of each treatment, David looked to HealtheTech™ to enhance his existing offering. His unique client proposition enabled him to integrate therapies that most of his potential competitors couldn’t. The addition of an affordable and easy to use device that set the benchmark for each individual’s resting metabolic rate was an easy decision. The tool would make his program and client results even more successful, and the additional personalization would help continue to build his business. David started utilizing the BodyGem® device not only inside his own company, but also worked with local gyms and clubs to provide education and metabolic measurements at their location. Extending his measurements into other facilities not only drove business to the club, but also to David. During his busy periods, David would sometimes perform up to 3 tests per day at offsite locations. He found that his ability to stimulate new clients was greatly enhanced by introducing them to RMR. “Most people have a gut-level understanding of metabolism – they know they have one – but with BodyGem, the light bulb comes on,” says David. New clients with One Body Health are offered total packages that include periodic measurements, along with the clients’ use of BalanceLog® software. Many of his clients are number-oriented professionals and like the tools because they are so tangible. 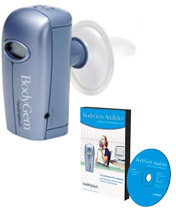 David estimates that up to 20% of his client base utilizes measurements from the BodyGem to ensure that they are on track. He finds constant validation in the tools by looking at his client’s success. Although his client success stories are too numerous to detail, one of his most memorable was a client with health issues that came to him through a physician. After developing a total care program that included periodic measurements and BalanceLog software, the client lost over 100 pounds. As a result of David’s growing business and successful client programs, he is in the process of opening a second facility. He anticipates the same success he has experienced to date with the incorporation of BodyGem and BalanceLog into their unique, personalized approach to total care. RMR stands for Resting Metabolic Rate, and it is also referred to as metabolism rate, base metabolic rate, basal metabolic rate or BMR.